Sizmek, the largest people-based creative optimization and data activation platform delivering impressions that inspire, today announced Cross-DSP Frequency Capping, the first iteration of their Cross Media Plan Optimization solution that enables agencies and advertisers to maintain ideal ad exposure for each user, across media plans. Brands’ media plans contain several isolated IO plans and DSPs, and the data resulting from interactions between different technologies used by ad buyers fails to illustrate a holistic user-focused picture where frequency capping can be effective. According to a 2016 report from Forrester on attribution, decision makers are driven by the need for a more precise reach strategy (75%), more effective targeting (71%), and adjusting media spend across channels (67%). As an independent ad server, Sizmek is uniquely positioned to alleviate wasted ad spend and delivery inefficiencies—particularly as it can serve as the central hub for pre- and post-bid data aggregation. As a result, ad buyers using Sizmek can successfully manage frequency capping across their entire media plan based on creative engagement data found only at the server level, including ad clicks, ad views and impressions. The Cross-DSP Frequency Capping solution showcases Sizmek’s commitment to reduce fragmented media buys, and offers a first step for advertisers to optimize campaigns across multiple IOs and DSPs. This provides advertisers with the ability to engage relevant and interested users across their entire media plan, ensuring ad spend is utilized efficiently. Furthermore, Sizmek’s Cross-DSP Frequency Capping solution ensures ad buyers have the tools they need to effectively manage budgets through the use of timely engagement data including flexible viewability measurements, completion of video, and converted users. 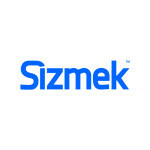 Sizmek Cross-DSP Frequency Capping is available globally through Sizmek’s network and integrated partners.